We wanted the design to capture the whimsy found in her paintings and drawings so we included some of the hand-drawn elements from her work. I really love her paintings – she uses such lovely colors and so much of her personality shines through. 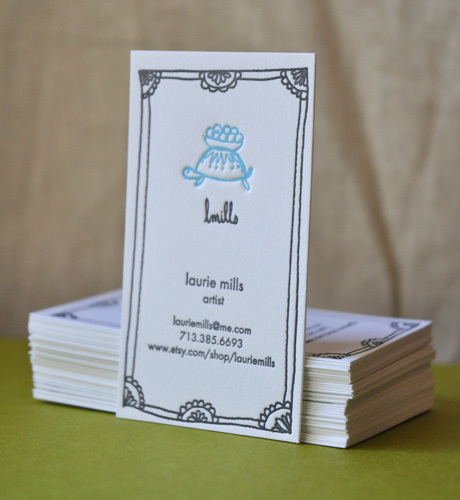 This entry was posted in business cards, letterpress, painting and tagged business cards, letterpress. Bookmark the permalink.